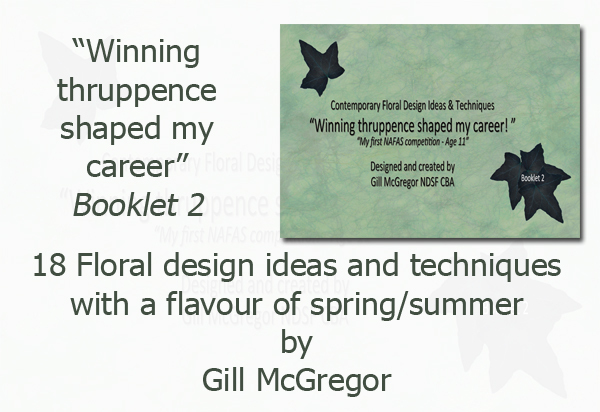 "Winning thruppence shaped my career"
This Booklet features 18 floral design ideas and techniques with a flavour of spring/summer. 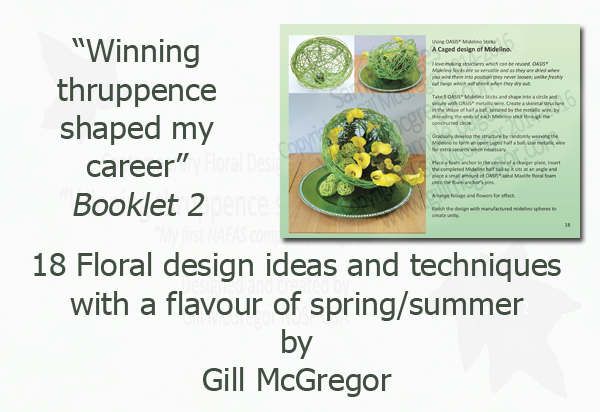 Each suggested idea is supported with full colour photography to show the completed arrangement and comprehensive narrative to explain how the technique is implemented. For the suggested self-made containers – colour photography provides a breakdown of how the container is made until its completion/final design and is supported by a comprehensive description of the construction process. The focus of the materials used is that they are inexpensive; some purchased from pound shops or from regular floral wholesalers. 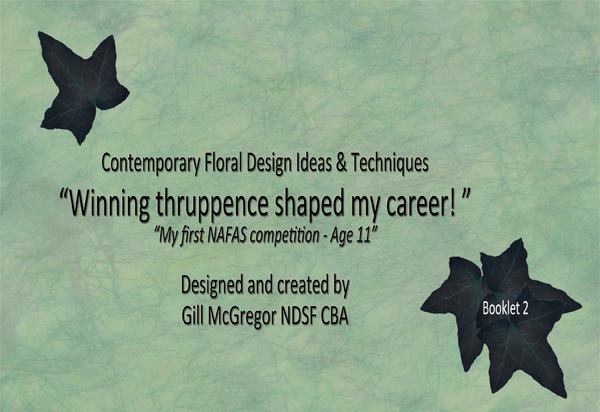 Booklet-2 is written for Contemporary floral designers and for those wishing to increase their floral design skills. 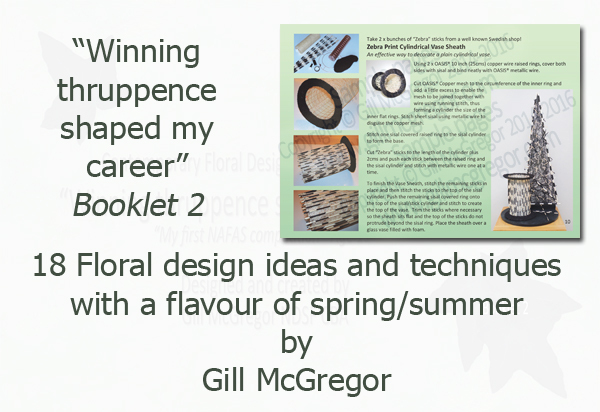 Each booklet has 18 internal pages showing full colour photographs and supporting text in an A5 landscape format. 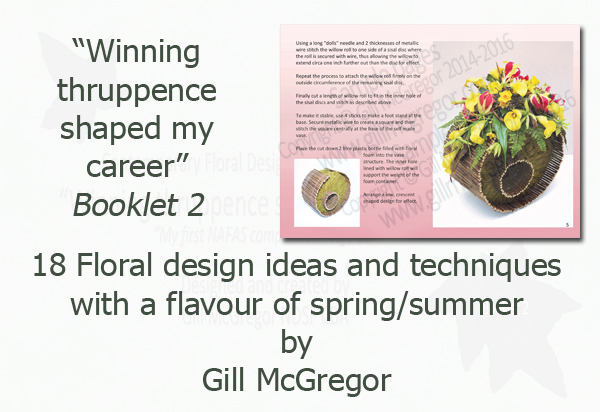 Cancer Research UK will receive £1 for each Booklet sold. - $9.58 + post to the Republic of India - other country's postage varies. We are unable to sell in Rupees through Paypal at the moment (₹599 and dependent on Paypal exchange rate conversion to US Dollars). 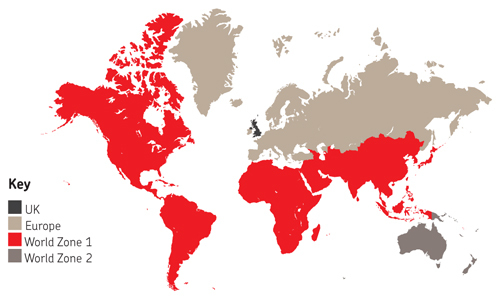 Variations on post: We opt first for Tracked & Signed, then Signed only, then Tracked only; dependent on the delivery services available for the delivery location/ country. Typically orders around the world take 4 to 8 days to arrive however South Africa has taken over 30 days. Tracking/Signing is included in the postal prices above.